In basic Muay Thai rules, Muay Thai match formally have no more than 5 rounds, each round take 3 minutes to last, with a two-minute rest period in between. No additional round is allowed. 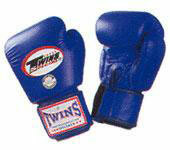 Boxers must regularly wear gloves, each weighing not less than 6 ounces (172 gramm) in Thai boxing rules. The gloves must not be squeezed, kneaded or crushed to change its original shape. Contestants wear no shirts nor shoes, but ankle cap is permitted. Size: A square with each side the following dimension: Small size 20-feet (6.10 metres); Large size-24-feet (7.30 metres), to be measured within the ropes. Floor And Corner: Must be well constructed with no obstructions and with a minimum extension outside the ring of at least 3 feet (91 cm). The minimum floor height should be 4 feet (1.22 metres) with a maximum of 5 feet (1.48 metres) from the building floor. The corner posts should have a diameter of between four (10.00 cm) to five inches (12.70cm) with a height of 58 inches (1.47 metres) from the ring floor. All four posts must be properly cushioned. Ring Floor: The floor must be padded by either cushioning, rubber, soft cloth, rubber mat, or similar material with a minimum thickness of 1 inch (2.50 cm) and a maximum of 1.5 inch (3.7 cm). The padding should be completely covered by a canvas cloth. Ropes: Consisting of four ropes with a minimum diameter of 1.20 inches (3 cms) and a maximum of 2 inches (5 cms), stretched and linked to the four corner posts. The distance from the ring floor to the lower rope will be 18 inches (46 cm), to the 2nd rope 30 inches (76 cm), to the 3rd rope 42 inches (107 cm) and the top rope 54 inches (137 cm) respectively. The rope will be covered by a soft or cushioned material . Each rope will be joined together by two strong cords of 1.20-1.60 inches (3-4 cms) diameter and are at equal distance from each other. Ring Steps: At least three (3) sets are required. The width of each step should be at least 3.50 feet (1.07 metres). One set is located at each corner and a third shall be positioned centrally for the doctor and other officials. Plastic Bin: To be located at the fighter's corner for the disposal of tissues, bandages or any other garbage. Break area at both corners. Two drinking water bottles and two spray bottles. No other type of bottle is allowed ringside. Tables and chairs for the officials. One or two stop clocks. Locking box for keeping the score sheets. 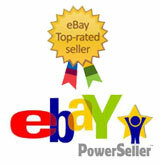 One set of round indicators, signs or boards. Two pairs of spare boxing gloves. One spare set each of red and blue boxing shorts. Groin protector with one or two ties. Two cloth squares to facilitate a groin protector change or adjustment. Only gloves certified by World Muay Thai Council are allowed to be used in any match. The weight of the leather shall not be more than half of the total glove weight, including the internal cushioning, which should always be in good condition. The laces are to be tied at the back of the wrist band. To ensure compliance with the regulations, all gloves will be inspected by a member of the match committee prior to the fight. Only boxing shorts are to be worn, the colour of which depending on the corner; red, pink, or maroon or with a red stripe for the red corner; blue, bright blue, black for the blue corner. The dressing gown will be as specified by the World Muay Thai Council. To ensure the boxer's safety, a groin protector must be worn and tied only at the back. Long hair and/or beards are prohibited. A short moustache is allowed but the hair must not extend over the lip. The Mongkol should be worn when performing the Wai Kru (paying respect to one's teacher), prior to tbe match start. Amulets are only to be worn on the arm or waist and covered by material to avoid injury. Single elastic bandages are allowed to be worn on the arm or legs to prevent spralns, however insertion of a shin guard, etc, is not allowed. No metallized material, decoration or jewellery are allowed to be worn. The use of vaseline, fat or any similar substance by the boxer to gain unfair advantage is not allowed. Boxer may wear elastic ankle bandages to protect his feet. The boxer shall be weighed without clothes, no later than 3 hours prior to the match. If the fighter is over weight at the time of the weigh-in, he may reweigh again. Prior to the weigh-in, all fighters must be examined and certified fit by a licenced doctor. Prior to the start of the first round, both fighters shall perform the Wai Kru (paying respect to the teacher), accompanied by the appropriate Thai tradifional music, incorporating the Ching (cymbal), Klong khaek (tom-tom) and Pee Java (Thai reed pipe). A Muay Thai match shall consist of five rounds, 3 minutes per round with a 2 minute break between each round. Any stoppage during the match for any reason, will not be counted as part of the 3 minute round time. No physical disability and at least 15 years old. Minimum weight: l00 pounds (45.36 kg). Not classified as a prohibited person, as described in the medical manual of the World Muay Thai Council. During the match, the seconds are not allowed to advise, help or instruct their boxer. Any violation of the rules by the seconds or the boxer may result in the boxer's disqualification. The seconds are not allowed to signal to interested parties, the condition of his boxer. During the match, the seconds must stay in the designated area. Prior to the start of each round they will remove all towels, water bottles, etc out of the ring area. During the interval, the seconds will ensure that their boxer is properly attired. In case of any problem they shall inform the referee immediately. Hold a medical certificate endorsed by the World Muay Thai Council. 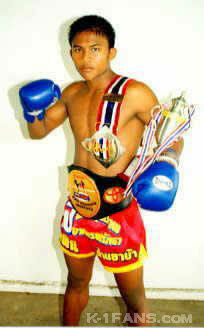 Certified by the World Muay Thai Council as properly qualified. All referees must be trained and tested by the appropriate committee of the World Muay Thai Council and be certified and registered as a referee. B. The Referee 's Responsibilities. The referee's uniform will consist of blue trousers and shirt, bearing the logo of the World Muay Thai Council and flat canvas shoes. No glasses or jewellery are allowed. Fairness in the application of the rules and regulations to all parties. No impoliteness in manner or speech either to the boxers or the audience. Close supervision of the match. Protection of a weaker fighter against serious injury. Inspection of the boxing gloves and anklets. Ensure both boxers shake hands prior to the first and final rounds. For a championship or title defence fight, the referee must inform the boxers and their seconds of the rules and regulations governing the fight and this is to be done in the dressing room, prior to the fight itself. "STOP" when ordering the boxers to stop fighting. "BREAK" when ordering the boxers to separate. "FIGHT" when ordering the boxers to continue the match. When the boxers are ordered to "BREAK", both must step back one step before continuing to fight. The referee shall use the correct signal to ensure a boxer's understanding of any rule infringement. At the match end, he will collect the score sheets from each of the three judges and indicate the winner to the audience, by raising that boxer's hand. The scoresheets will then be handed to the chairman for verification. For a championship match, the referee will collect the scoresheets from the judges at the end of each round, inspect and submit them to the chairman in addition to raising the winner's hand after the result announcement. Should it be necessary to stop the match or penalize a boxer, he will immediately advise the reason to the committee chairman after making the announcement. In case of an accident to the referee which prevents him from continuing, the senior judge will act on his behalf. The referee is forbidden to give a verbal count or warning that gives either an unfair advantage or disadvantage to any fighter. He is forbidden to comment or speculate on any match unless receiving prior approval from the committee chairman. All referees are subjected to a yearly medical inspection and certification by the doctor of the Council and must be physically fit at the start of any match. To stop the match immediately if he considers that one boxer is significantly more skilled or stronger than the other. To stop the match immediately when a boxer is in difficulties or is injured. To stop the match immediately if he considers that one or both fighters are faking or not trying their best. To stop the match or warn the boxer for committing a foul or breaking the rules. To immediately disqualify a boxer who defiantly breaks the rules, injures or shows any aggression to the referee. To disqualify both the boxer and his seconds if his seconds deliberately break the rules or do not follow his directions. To disqualify any boxer who intentionally or accidentally causes a foul. To stop the match if he considers that a boxer having received a count, is unable to effectively continue the match. To disallow any advantage to a boxer who intentionally fouls in any way. Prior to giving a warning for rule infringement, the referee shall stop the fight, use the correct warning signal to ensure thc boxer's understanding and then indicate the offending boxer to the judges. Any boxer, who is so indicated or warned 3 times or more, may be disqualified. In the event of a serious rule infringement, the referee's decision is final. If a boxer falls through the ring ropes, the referee shall order his opponent to stand in the other corner and if the boxer remains outside the ropes, the referee shall start to count. (A count to 10). If a boxer falls out of the ring, the referee shall count to 20 (20 seconds). When a fall-out takes place, the referee will start counting, however if the boxer returns to the ring before the count ends, he will not be penalized. If anyone prevents the fallen boxer from returning to the ring, the referee shall warn such person or stop the fight if he continues his action. If both boxers fall out of the ring, the referee shall start counting. If one boxer tries to prevent his opponent from returning to the ring before the count ends, he will be warned or disqualified. If both boxers fall out of the ring, the referee shall start counting, the one that returns to the ring before the count ends, will be considered the winner. If neither boxer can, the result will be considered a draw. The judges are independent and free to score as per the rules and normal practice. Each judge shall sit on a different side and should be separate from the audience. The judges shall remain neutral during the match, except when a rule violation is noticed, when he should notify the referee exclusively. This should be done during the round interval. At the end of each round, the judges shall complete the score sheet for that round. The judges are not allowed to leave their seat until the match ends and result has been announced. The judges shall wear the uniform as specified by the W.M.C. If the referee makes a decision significantly contrary to the normal rules and practice. If it is discovered that the judges have made a conspicuous score sheet error. To appoint the referee and judges for each match and promotion. To monitor and improve the standards of the referee and judges and ensuring conformity to the rules and standard practice. To verify that the referee and judges perform their duty and responsibilities and to advise the World Muay Thai Council if any irregularity takes place. To solve any prior problem regarding the promotion, reporting the result to the Council committee. Make the decision to the referee and the judges. The score has been tallied correctly. The name of the fighters are correct. The correct winner has been named. To authenticate the score sheet and inspect the score. To announce the result of the match to the audience. To make any decision in case that the referee or judges could not continue. To report to the Council Committee, the name of any boxer who violates the rules or shows poor performance. A five seconds warning is to be given prior to the start of each round, to enable the seconds to clear the ring. A bell is used to signal the start and end of each round. To deduct the break time as per the referee s instructions. Ensure all timings are correct by using both a watch and stop clock. In the case of a boxer receiving the count during rounds 1-4 and the round time ends (3 minutes), the bell should be rung immediately after the referee finishes the count and orders the boxers to continue. In the final round, the bell should be rung immediately when the round timing passes 3 minutes, even if the referee is still counting. To announce the fighter's names, corner and weight prior to the fight and again as the boxers arrive in the ring. To order the seconds to leave the ring when the bell rings. To announce the round number at the start and finish of each round. To announce the winner's name and corner, when the referee raises the boxer's hand. A Knock-Out (K.O.) is awarded when the opponent is knocked down and unable to continue within the 10 second count. When a boxer is seriously hurt or weakened. When a boxer cannot continue the match after the break. On the doctor's recommendation, when the referee is unsure whether a boxer can continue the match due to injury or being seriously weakened. Both boxers are seriously injured and cannot continue the match; If less than three rounds: a draw is declared; If three rounds have been reached, individual score decides. Receiving a count twice in the same round and unable to continue the match. Winning due to the opponent's retirement because of injury. Winning due to the opponent's violation of the rules. "No decision" as a result of both parties colluding together to cheat or not fighting properly. "No contest" as a result of the ring being damaged and the match not being able to continue, or if an external event occurs during the fight, causing it to be stopped. When both boxers' scores are equal. When both boxers receive a count of 10. Points will be awarded for a correct Thai Boxing style, combined with hard and accurate strikes. Points will be awarded for aggressive and dominating Muay Thai skill. Points will be awarded for a fighter actively dominating his opponent. Points will be awarded for the use of a traditional Thai style of defence and counter-attack. Points will be deducted from a boxer who fouls or breaks the rules. A strike which is against the rules. A strike in defence against the leg or irm of an opponent. The judges will deduct points for any foul as directed by the referee. Any foul observed by the judges but not by the referee, will be penalized accordingly. The maximum score for each round is 10 points, the loser scoring either 9, 8 or 7. A drawn round will be scored as 10 points for both boxers. The winner and loser in an indecisive round, will score 10:9 respectively. The winner and loser in a decisive round will score 10:8 respectively. The winner and loser in an indecisive round with a single count, will score 10:8 respectively. The winner and loser in a decisive round with a single count, will score 10:7 respectively. The boxer scoring 2 counts against his opponent will score 10:7. Any boxer who commits a foul will have points deducted from his score. Biting, eye gouging, spitting, or head butting. Wrestling, back or arm locks or any similar judo or wrestling hold. Deliberately falling on his opponent. Holding the ropes for any reason. Swearing or the use of abusive language during the match. 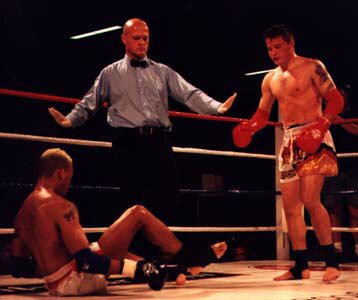 Knocking out or injuring his opponent after the referee has ordered the match to stop for any reason. Deliberately striking the groin area. Any part of the body touching the floor except the feet. Leaning against the ropes in a state of unconsciousness. Knocked out of the ring. During a count, the referee will direct the opposing boxer to stand in the opposite corner. If he does not, the referee shall stop the count until he does so and then continue. The match will not continue until directed by the referee. The count interval will be at I second intevals, from 1 to 10. During the count, the referee will signal, with his hand, to ensure that the boxer receiving the count understands. A boxer on receiving a count, cannot continue the match prior to a count of 8 and loses immediately on receiving a count of 10. If both boxers fall down, the referee will direct the count to the last one that fell. If both boxers receive a 10 count, a draw will be declared. Should the boxers lean against each other whilst sitting up, the referee will stop counting at that time. If one of the boxers subsequently falls down again, the referee will continue the count. A boxer not ready to fight again after a break when the bell rings, will receive a count, unless caused by a problem with his attire. Perform a physical check of the boxers prior to the weigh-in. Be in attendance during the programme until the last fight. Perform a physical check of the boxers after each match and specify the rest period. All boxers will be certified by the doctor prior to the start of any fight and must not be suffering from any sickness or exhibit any prohibited symptom or disease, as specified in the medical manual of the Council. Any boxer due to fight in a foreign country, will be physically examined by a doctor appointed by the Council Committee. He must also conform to the medical regulations of that country. If a boxer is knocked unconscious or injured, only the doctor and the referee are allowed in the ring. Any others may only enter at the doctor's discretion. A boxer losing by a K.O. or T.K.O. will be immediately treated and undergo a physical examination by the doctor. A winner in the first round is required to rest a minimum of 7 days prior to his next fight. The winner in the third round is required to rest a minimum of 14 days prior to his next fight. A boxer losing by T.K.O. or K.O. must rest for a minimum of 30 days prior to his next fight. A boxer specified under Items 23.3.1 - 23.3.3, must be examined by the doctor at the end of each fight, who will then specify his rest period. The use of drugs or stimulants, either before or after the fight is strictly forbidden. Any user will be disqualified. The sole drug allowed for the prevention of bleeding is Adrenalin 1:1000 and must be administered under a doctor's directions. This article was published on Sunday 17 February, 2008.